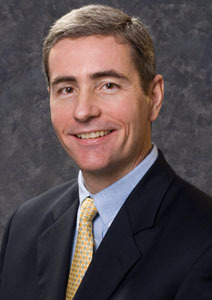 Prior to founding RocketScience Marketing, Inc. in 1999, Burke held top-level marketing positions at Domino’s Pizza, Inc., The Stroh Brewery, and Rite Aid. Under Burke’s leadership, RocketScience Marketing couples the best practices of large company strategic marketing with the realities of street-level sales building tactics. 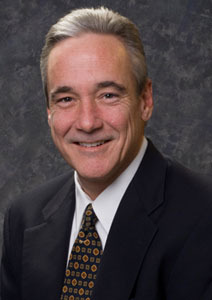 Burke holds an Advertising undergraduate degree from Michigan State University and an MBA from Central Michigan University. With 20+ years experience, Burke has earned several industry awards for innovation and marketing effectiveness. - In-person recognition by President Bush on two occasions for the Domino’s Pizza Hispanic Marketing effort he founded. - “Stroh A Party With The Three Stooges” won the BEST IN THE U.S., NORTH AMERICAN GOLD AWARD and REGGIE WINNER in “Promo Magazine’s” North American PRO Awards of Excellence. After a consulting relationship since 2001, Kelly Neill and his agency, KELCOM formally joined RocketScience Marketing in 2004. Neill founded KELCOM in 1998 after nearly 20 years with Stone, August, Medrich, a $40 million-dollar ad agency based in Troy, Michigan. As Executive Vice President in charge of account services and media at Stone, August, Medrich, he helped provide the agency’s clients with the comprehensive marketing expertise needed to create winning strategies. A graduate of Michigan State University, Neill worked his way up from the trenches to help lead one of the area’s largest independent agencies. He was responsible for several major accounts including Oakland County, Franks Nursery and Crafts, The Wellness Plan, Swift & Company, The Detroit Symphony, Pontiac D.D.A., Sanders, Weight Watchers, and Auto Works. At age 35, Neill was named one of Crain’s Detroit Business magazine’s top 40 executives under the age of 40. Neill’s true expertise is the ability to identify and focus in on key business opportunities that result in heightened effectiveness and success for clients. Account service is in his blood and his dedication to service and client response is considered legendary.